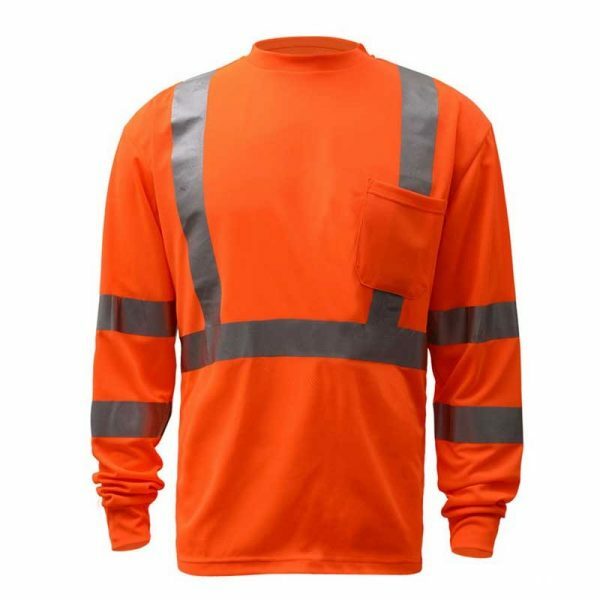 This long sleeve t-shirt is made out of a breathable polyester mesh which is also a moisture wicking material to help regulate the workers body temperature and reduce static electricity. 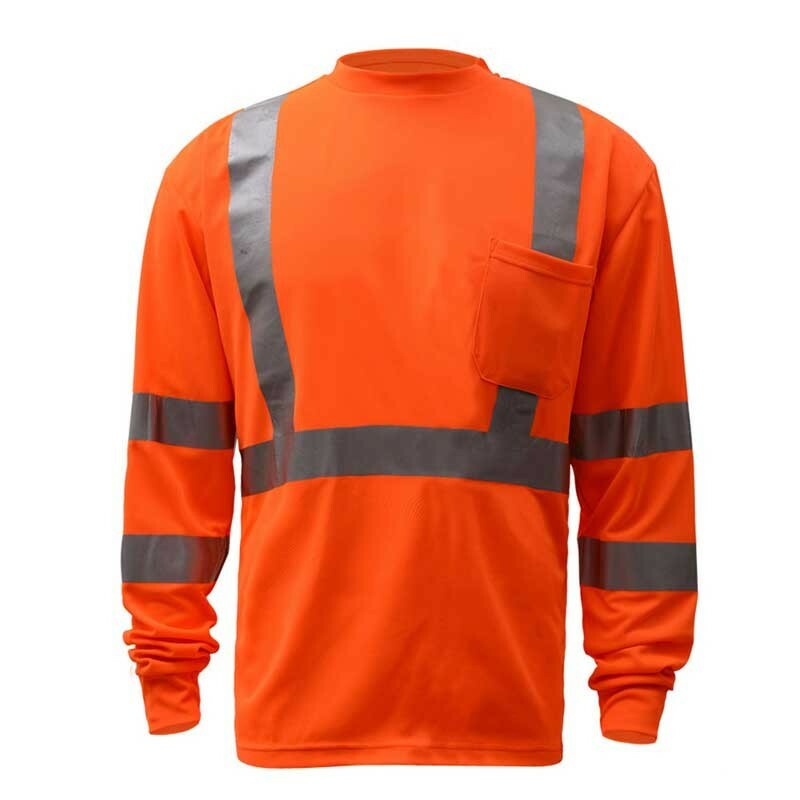 This simple, economical shirt provides enhanced visibility in the workplace and meets ANSI/ISEA 107-2010 standards. Features a single pocket on the left chest and is available in orange or lime.